Delicious crunchy bar with proteins, carbohydrates and fiber. Great protein bar with a double glaze layer made of delicious chocolate. Protein bars with a low sugar content. Perfect to stay in shape without giving up flavor. 52% Protein Bars low in carbs. Perfect pre or post-workout snack. You can eat it between meals too! Bars with 50 g of proteins, 24g of carbohydrates, glutamine and MTC's. Ideal to increase lean muscle mass. Crunchy Protein Bar! Tremendously delicious and nutritious. 50g of protein per bar. They contribute to preserving the muscle mass and its growth. Irresistible protein bars. Only 2g of sugars per serving. Very low in sugars and fats. Nutritious and balanced snack, rich in protein and carbohydrates. Healthy snack for any time of the day. Protein bar with glutamine and BCAAs. Protein bars with 20g of protein per bar. Protein bar. Provides 21g of proteins per bar. Delicious MilkPro® protein bars. It provides more than 20.1g of protein per serving. Taste like a real candy bar. The bar tastes very nice, has a good amount of protein especially in relation to price and is easy to eat. The only thing I found annoying was that I bought 15 and they didn't come in a box. Apart from the typical powdered protein supplements to make shakes, there are other ways of getting a quality protein supply. 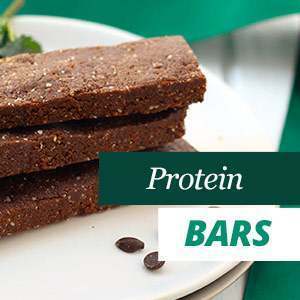 Protein bars are the perfect snack to eat between meals or in the afternoon These bars provide a high protein supply while you enjoy their sweet flavor and texture. Eating protein bars between meals will also help to complete our diet with a balanced protein supply in the tastiest way possible. Like shakes, protein bars are a healthy snack that provides all the non-essential and essential amino acids that the body needs to improve the recovery processes and muscle growth. Unlike shakes, they are very practical and easy to consume, they are ready to eat and we will not need to use any shaker or blender. That is the reason why more and more people are choosing protein bars over powder. Just unwrap and enjoy! Protein bars are snacks that are quick and easy to eat at any time and place. We can even take them to work or the gym. Athletes suffer more physical deterioration than the rest of the population. Therefore, their nutritional requirements are different. Usually, the protein demands of an athlete are between 1 and 2 grams daily per kilo of weight. These bars are a great way of meeting the recommended daily dose of proteins in order to enhance the performance, improve the recovery or support other goals, such as stimulating fat loss or increasing the muscle mass. Many of protein bars available are also rich in carbohydrates, which are perfect for the recovery phase. Eating them after training can help to avoid a lack of energy when we do physical exercise and to nourish our muscles properly. But, these bars can be eaten by anyone. In fact, they are ideal for those who want to increase their quality protein intake or a snack to eat between meals, at work or on when going for a walk. You can comfortably carry them in your backpack, car or bag, and have them always at hand in order to satiate the appetite while avoiding other less-healthy products, such as industrial baking. There are many types of protein bars available in the market from different brands, flavors, prices and ingredients. However, you have to know how to choose the best bar to reach your goals. You can eat a protein snack or to replace a small meal like an afternoon snack, then pick one that has a balanced composition, with proteins, low glycemic index carbohydrates and satiating fiber. If you are looking for a post-workout protein snack to improve the muscle recovery, look for a bar that is high in protein with simple sugars that will help to recharge the muscle glycogen that has been lost during the workout and it will also repair the muscle fibers. If what you want a snack between meals within a weight loss diet, go for a low calorie, high protein and low carbohydrate bar. We encourage you to check the nutritional composition of the bar so that you can choose the bar that best suits your objectives. HSN has a wide range of snacks and bars for athletes which are easy to transport and use. You can eat them before, during and after training. We offer a fast and high quality service, with secure payment and products ready for immediate dispatch. From our wide range our products, we want to highlight the Evobars by the brand HSNsports. It is a delicious bar with 19g of protein per serving. It is available in delicious brownie and cherry-yogurt flavors.